ORLANDO, Fla. (June 8, 2017) – For more than 50 years, SeaWorld Parks & Entertainment has played a vital role in the rescue and rehabilitation of injured and orphaned wildlife and recently hit a sobering milestone –surpassing 30,000 animal rescues. World Oceans Day reminds us of the many challenges impacting marine habitats and the critical issues - in particular plastic debris -facing marine animals. Many of the animals SeaWorld rescues have been directly or indirectly affected by human activity. The planet’s oceans are teeming with trash- an estimated 5.25 trillion items that should not be in the water. The focus of World Oceans Day 2017 is on encouraging solutions to plastic pollution and preventing marine litter. Plastic debris is one of the deadliest forms of pollution for thousands of marine animals including sea turtles, dolphins, sea lions, whales, and manatees that are trapped, injured, or killed by discarded plastics, hooks, and fishing line every year. The SeaWorld Rescue Team sees the danger marine debris poses to wild animals every day as they answer the call to help injured, orphaned, and ill wildlife. Marine debris is a preventable issue and SeaWorld works to reduce human impact on habitats and wildlife through education. Teaching SeaWorld guests how seemingly small personal choices, such as properly disposing of trash or fishing gear while boating, can have big impacts on our shared environment and is an important step in changing behaviors that put humans and animals at risk. Caring for imperiled animals has been a core value of SeaWorld. Each year the company provides its dedicated and experienced personnel including animal care specialists and veterinarians towards this mission. This, together with the time, materials and equipment is valued on average at about $10 million. 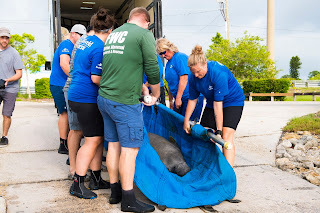 Working hand-in-hand with local, state, and federal agencies as well as rescue and rehabilitation partners, SeaWorld works tirelessly to help marine mammals like manatees, dolphins, otters, and sea lions; sea turtles; and birds. The Busch Gardens animal care teams have also rescued and cared for a variety of wild animals including opossums, hummingbirds, owls, and other birds. All injured animals are given the critical and rehabilitative care they need with the ultimate goal of return to the wild. 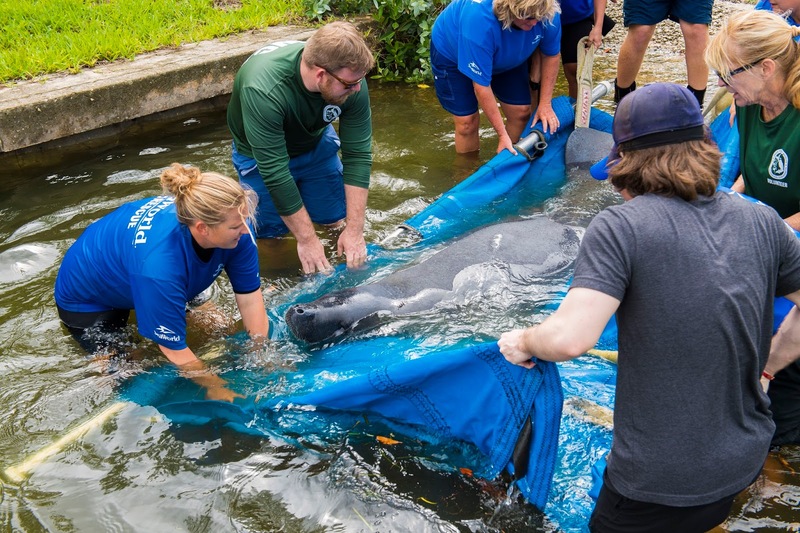 If they can’t be returned, those animals are given lifelong care at SeaWorld, Busch Gardens or another accredited or experienced zoological facility. 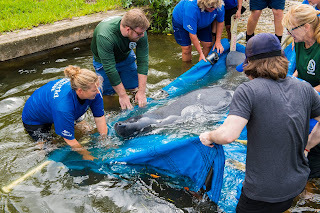 Learn more about SeaWorld Rescue and the innovative interventions by SeaWorld’s animal care team at newmission.seaworld.com/. Track positive individual efforts for the environment and cheer on other conservation leaders at SeaWorld.MyActions.org. SeaWorld Parks & Entertainment™ is a leading theme park and entertainment company providing experiences that matter and inspiring guests to protect animals and the wild wonders of our world. The company is one of the world’s foremost zoological organizations and a global leader in animal welfare, training, husbandry and veterinary care. The company also rescues and rehabilitates marine and terrestrial animals that are ill, injured, orphaned or abandoned, with the goal of returning them to the wild. The SeaWorld® rescue team has helped more than 30,000 animals in need over the last 50 years. The company owns or licenses a portfolio of recognized brands including SeaWorld, Busch Gardens® and Sea Rescue®. Over its more than 50-year history, the company has built a diversified portfolio of 12 destination and regional theme parks that are grouped in key markets across the United States. The company's theme parks feature a diverse array of rides, shows and other attractions with broad demographic appeal which deliver memorable experiences and a strong value proposition for its guests. SeaWorld Parks & Entertainment is a wholly owned subsidiary of SeaWorld Entertainment, Inc., a publicly traded company. Visitwww.seaworldentertainment.com for more.